If you have been paying attention to our previous blogs, then you already know that bed bugs can come home with you, even when you are in the cleanest settings. Cox South Hospital in Springfield, Missouri, recently had the shock of finding several bed bugs in their waiting room. It makes sense, a great deal of people are filing in and out of hospitals every single day, and what is a bed bugs favorite way to travel? In your personal belongings of course! Bed bugs can come from a variety of places, even where you least expect them, so it is a good thing that our bed bug exterminator in Seattle has your back. When you are on vacation you are probably on high alert for bed bugs, but the truth is that they can come from anywhere. Whether it be a hospital, the bus or even your local furniture store, bed bugs can easily hop in your purse or your briefcase and hitch a ride home with you. 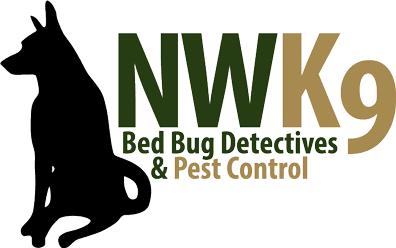 If you notice any of the signs of bed bugs in your home, then it is time to contact us for your bed bug inspection in Seattle. Although bed bugs are most commonly found in hotel rooms, they can come from anywhere with a lot of people around. Even if you do everything right, you may still end up with bed bugs. If this has happened to you, then you need to turn to us here at Northwest K9 Bed Bug Detectives. We pride ourselves in providing you with the safe and effective bed bug treatment that you have been looking for. Contact us today to get your free quote.